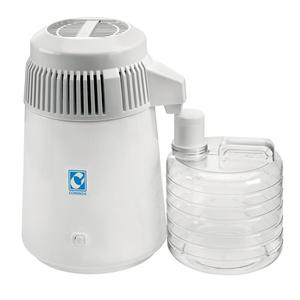 The Discom water distiller is ideally suited to practices with small medical or dental operations. It is an economic method of generating steriliser quality water. The Discom distiller produces approximately 4 litres of distilled water every 7 hours. This unit has an automatic shut off so the unit can be left running overnight without the worry of overflow. The unit is extremely easy to clean and simple to operate. Purchasing bottled water is time consuming and expensive. The Discom water distiller provides the ability to produce your own supply at a fraction of the cost. The Speedy reverse osmosis system provides constant and automatic monitoring of water conductivity at two levels(15 and 30 μS/cm). 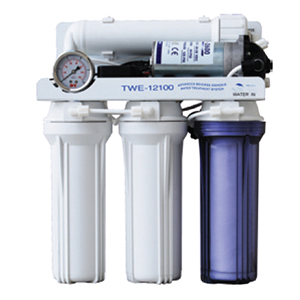 It comes with long-lasting filters (4000 litters), a pressure tank with gauge and booster pump. Requires professional installation.